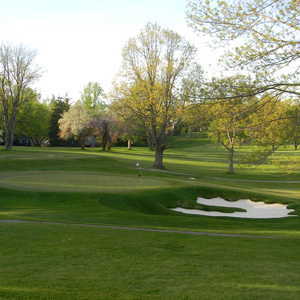 STREETSBORO, Ohio - At Boulder Creek Golf Club, it's all about the island green. Dreamers see photos of it on the golf course's Web site and, regardless of their skill level or tolerance for embarrassment, it becomes one of the main reasons they want to play Boulder Creek. But after three seasons, the thrill seekers are starting to dwindle. Perhaps word is spreading to high handicappers that this course is one mean son-of-a-gun. "Pace of play is finally starting to pick up a little," says starter Fred Palcho, who came up with the idea of putting golfers' tee times on the carts for convenience. Nifty idea, Fred. It's obvious why Boulder Creek drummed up so much interest when it first opened in 2002. This is not your typical goat track. Owner Joe Salemi, who supposedly never designed a golf course before in his life, let his creativity run wilder than a kid with a Crayola and six bags of Skittles in his gut. There's the island green, for one, on the mercifully short 116-yard par-3 17th. It looks that much smaller because the tee is way above the green, but two bunkers in back and one in front offer a measure of safety for shots that drift too long or fall too short. Then there's the sixth hole, a 438-yard par 5 with a split fairway. Thread the needle on the left and the green is reachable in two. If you choose the more conservative route to the right, you'll have to contend with a fairway bunker the size of Montana. Add a couple waterfalls on the course and spectacularly natural, rolling terrain and you have an experience that's definitely worth a trip down the OhioTurnpike. Golf Digest thought so, too, ranking Boulder Creek the eighth best new public upscale course in the country in 2003. "It's definitely one of the top courses in northeast Ohio, and definitely for the more serious golfer. I recommend it to all my friends," says Kris Lightcap, an 18-handicapper who's played Boulder Creek five times. "It continues to get better as they've been able to finish up some areas by growing turf." The turf has grown in, but barely faster than hackers can gouge it out on the fairways and greens. While Boulder Creek is in great shape overall, several greens had an alarming number of ballmarks. But even Caddyshack's Carl Spackler could tell you that repairing ballmarks is a constant, uphill battle given the amount of inconsiderate duffers out there. And while it's nice for out-of-towners that Boulder Creek, which plays at just over 7,100 yards from the tips, is right off Interstate 80, it certainly doesn't serve to complement the serenity and tranquility aspect of the course. Several holes on the front side, most noticeably the par-3 156-yard seventh, run by the congested freeway. Let's hope a wiseacre trucker doesn't toot his horn on your backswing because upir shot has to carry water from tee to green. Other monstrously difficult courses in the area would do well to copy Boulder Creek's gigantic driving range. If you go out on the course unprepared, it certainly won't be the club's fault. There are 25 enclosed tees, 12 heated tees, eight target greens at distances ranging from 75 to 250 yards, and an 8,000-square-foot practice green. Plans are in the works for a short game practice area as well. The Boulder Creek staff does a pretty decent job of taking care of you, too, as well they should when you're paying $69.75 (the 18-hole weekend rate in summer). There is bag drop service, and Starter Palcho's identifier system eliminates all confusion as to when you're teeing off, who you're teeing off with and what cart you'll be commandeering. There is no world-class chef to be found in the snack shop, but pre-made grab-n-go sandwiches go a long way in deterring lengthy stopovers after the front nine. So what that you can throw a boulder, er, rock from the turnpike and hit Boulder Creek — this course is definitely worth checking out. It's a thrill-a-minute rollercoaster ride that's well worth losing a dozen or so balls for. Cow-tipping may be Streetsboro's recreational activity of choice (you can see the moo-moos from the 14th hole), but the course provides enough entertainment to send you away feeling like you had a ton of fun. Make sure to bring your camera — you'll want to remember some of these holes. The greens are G-2 bent grass, developed at Penn State University from samples taken from Augusta National in the1980s. Yesterday, March 13,2009, I visited the Greater Pittsburgh Golf show. I saw our event coordinator, Kim Thompson, from Courtyard by Marriott (Canton) there and asked her if she could arrange tee times for us at your golf course? We have been coming from Pittsburgh to Canton for about twelve years now. She said that you will not accept payments from their hotel for golfers. The last three years we have had those arrangements with The Quarry without any problems. If we decide to visit your golf course in 2010 on our way to Canton, can we have Courtyard by Marriott pay those fees for us? It would make things a lot simpler. 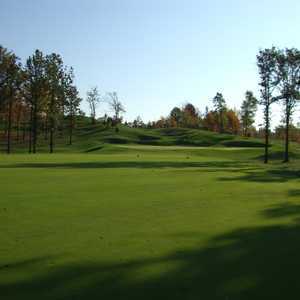 We have visited numerous courses in the Canton area over the twelve years and plan to continue that trip annually. We usually have 12 to 20 golfers on our four day excursion. Boulder Creek is an amazing gc. The price for what you get is well worth it. From making you feel like a pro on the course and in the club house, you also feel like one on the course b/c it is at that high of a level. 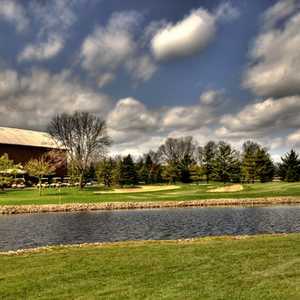 If you like to golf all ohio's best courses you must try this one for sure.